Donations made on the occasion of Guadalupe's beatification will provide scholarships to help 100 African women carry out scientific research and further their studies. Questions and answers about Guadalupe during a recent press conference in Madrid. A hundred African women will have the chance to win scholarships to study or to do scientific research at either a Spanish or an African university, through donations collected at the upcoming beatification of Guadalupe Ortíz de Landázuri, a Spanish chemist and the first lay member of Opus Dei to be raised to the altars. 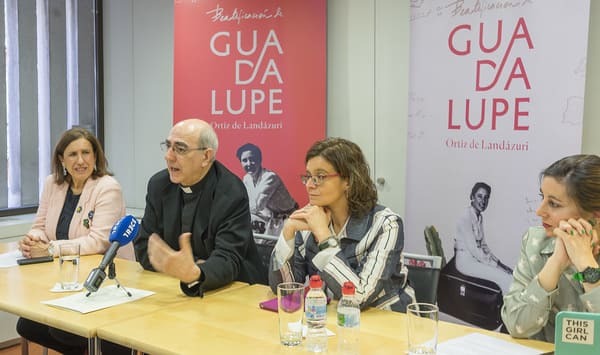 The beatification of Guadalupe will take place on May 18th in Madrid, and will be presided over by Cardinal Angelo Becciu, prefect of the Congregation for the Causes of Saints. The scholarships will be granted over a period of 10 years through the “Guadalupe Scholarship” project sponsored by Harambee Africa International, and hopes to support African female leadership in scientific research, so that they can be capable of launching research centers in their own countries, says Raquel Rodriguez, director of Harambee Spain. Mónica Herrero, member of the international committee overseeing the beatification, said there was a desire to bring an element of solidarity into the event, reflective of the social commitment that was present throughout Guadalupe’s entire life, both in Mexico and Spain. Herrero said Guadalupe was “just like anyone else in Madrid, a faithful of her diocese, who was also part of Opus Dei and living a normal life, who became holy in her daily tasks, and who shared the same Christian spirit with both the disadvantaged as well as with her peers, through her work as a chemistry professor.” Her biography is a vivid example of what Pope Francis describes in Gaudete et Exsultate, when he talks about the saints “next door”. The future blessed also stands out for being a woman ahead of her time, since she is one of the first to study a science degree at a time when very few women were attending universities at all, especially in Spain. Guadalupe eventually obtained her doctorate in Chemistry, in addition to setting in motion the very first student residence for women in Madrid, which still exists today. She was also one of the first women that Saint Josemaria asked to start Opus Dei’s apostolic work in Mexico, in 1950. Guadalupe is the first lay person of Opus Dei to be declared blessed by the Church, something that has stirred interest among faithful of the Prelature all over the world. Although many of them will not travel to Spain to attend the ceremony, the international committee decided to invest efforts in making sure that anyone who wanted to participate could do so digitally, by making the beatification as available as possible through digital channels. “Technology allows us to have people on every continent participating,” insisted Herrero. With this in mind, Carmen García Herrería, communication coordinator for the beatification, listed a series of channels that will facilitate digital participation, which includes multimedia content online, live-streaming of the ceremony, a beatification app, and other downloadable products that will allow people to get to know about Guadalupe’s life. 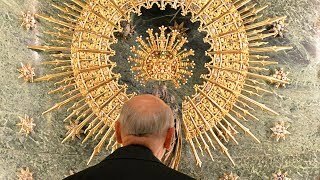 The committee has already organized a number of encounters and activities meant to make the figure of the future blessed better known in cities throughout Spain, as well as in Mexico and Rome where she also lived. Earlier this month, at Madrid’s Chemistry Association, a lecture was given in Guadalupe’s honor, highlighting her professional excellence along with the human virtues she displayed in her work. "Holiness is in the ordinary"